On this page you can find machines for the integration into fully automatic packaging and dispatch lines where the infeed as well as the initiation of the strapping automatically occurs. The core of our fully automatic machines is the robust technology that makes them into real marathon runners. The first service of the sealing aggregate, for instance, is thus only necessary after 3 million strappings. In the U.S., one of the hardest and most demanding markets in the world, SMB machines are in operation which have performed 40 million strappings and they keep on running! Is there better proof of reliability, longevity and economic efficiency? A wide range of options and accessories is also available for our fully automatic machines. 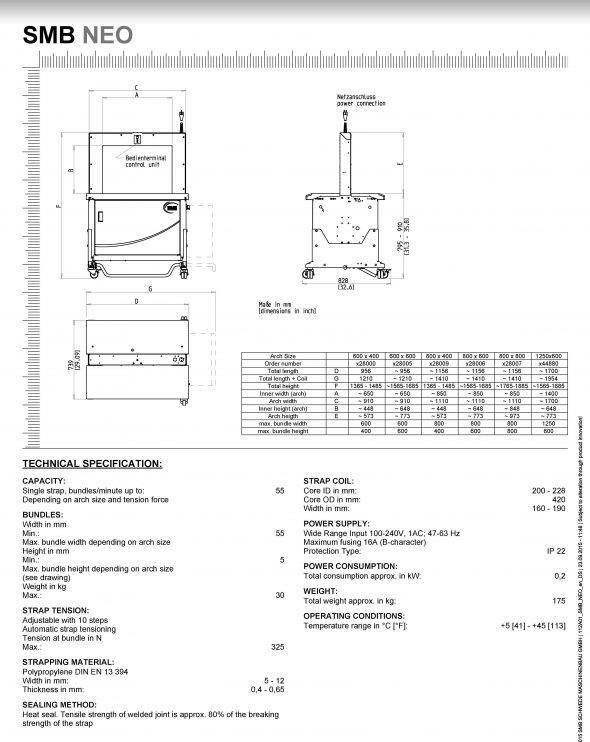 Our know-how applied after a careful analysis of your requirements and the offer of project management guarantees that you will receive a custom-made machine or line that perfectly integrates into your process. Please note: With regard to a lot of our fully automatic machines the strap tensioning mechanism is standard equipment. 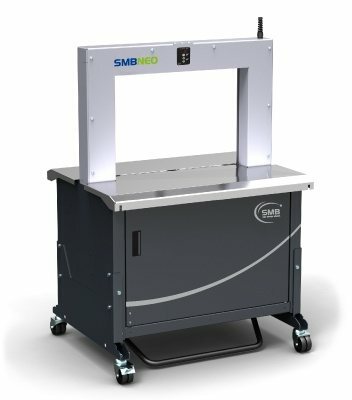 This patented process which is exclusively available at SMB involves the stepless measuring of the bundle height and subsequent automatic adjustment of the optimum strap tension. This guarantees gentle strapping and avoids operator interventions.